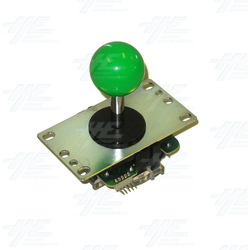 Sanwa parts including Joysticks and Buttons are now in stock, ex our Hong Kong warehouse. We have a full range of colours and models available for immediate shipment. Sanwa parts are made in Japan with premium quality, high precision and reliable components. They are used in many Japanese made arcade cabinets created by Sega, Namco, Taito, etc, with the Sanwa Joystick regarded as one of best joysticks among video game players. Please visit our new website www.arcadespareparts.com for more information.